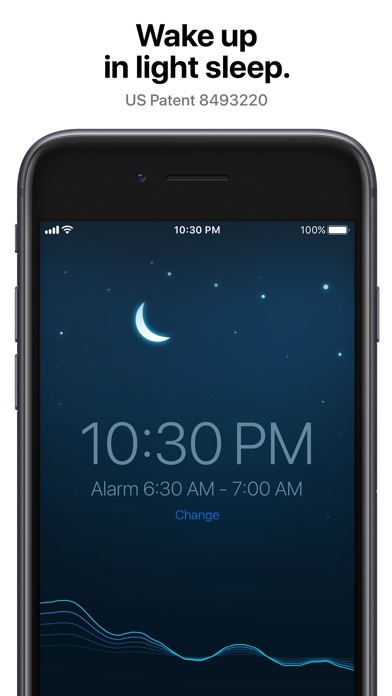 I’ve been using this app for years and use it almost everyday unless I don’t need an alarm. I think the data is highly accurate. I love the amount of data it tracks and all the trends you can track. Highly recommend this app. 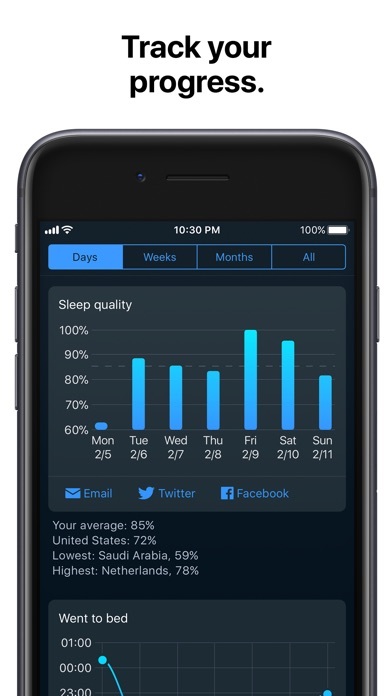 Lots of info about my sleep such as periods of wakefulness, sleep and deep sleep. Also rates the quality of my sleep. 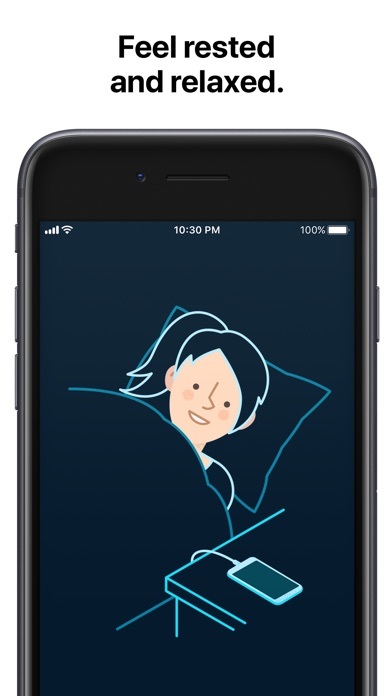 I downloaded this app with the idea that it was going to be like every other sleep app that needed a Apple Watch to work but I was pleasantly surprised to see that it was actually one that used the microphone instead and it wakes you up when you are the most awake in the time range of when you are awake to 30 min before . Pretty awesome but I wish it would give the long term measurements to free members too Edit: I think the new sleep quality is not very accurate because it said I got 95% sleep quality when I slept for 8 hours yesterday and I woke up twice; however I feel so sleepy today! I have no complaints about the app itself, but be aware you will pay $30.00/yr after your trial period. It’s a great app, but not worth $30.00 a year. If you don’t cancel before that date, you will automatically renew for a year. Then it is a nightmare to get the refund, which can take up to 30 days. If they charged a one time fee, or if the app didn’t appear as a full free version, I wouldn’t mind, but to auto renew is completely un-professional. I was recommended this app by a health and wellness speaker to assist in waking up when I am in the “light sleep” stage of my sleep cycle and this app works great. I like the tracking of my sleep cycles and I like the soft music that plays when the alarm goes off, steadily getting louder until it wakes you up. Amazing!!! Sleep like you’ve never slept before. This app is so amazing, it feels like magic. It feels like something like this should’ve been done decades ago. Trust me, this will give you much more restful sleep. Good app but immediately cancel your subscription after your free trial, otherwise they’ll charge your for a year.